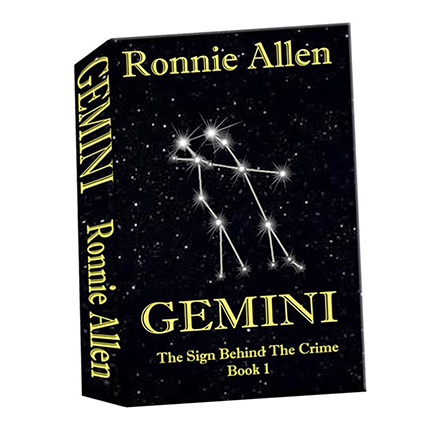 Ronnie Allen is the Author of the Sign Behind The Crime series. Gemini is book one and Aries is book two. Psychic and clairvoyant forensic psychiatrist, Dr. John Trenton has a wife he worships, and a career he loves as department head of a hospital for the criminally insane in Manhattan. His life was exactly the way he wanted it to be until he met stripper by night, school psychologist by day, Barbara Montgomery. She's two days from achieving revenge for her life when she makes a critical mistake and is dumped in Trenton's lap for a 72 hour observation. What he uncovers becomes deadly for his NYPD team and family. Ronnie Allen is a NYC woman transplanted to rural central Florida almost nine years ago. 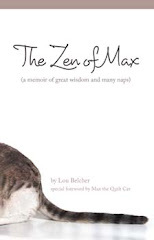 A teacher in NYC for 33 years and a Board Certified Holistic Health Practitioner specializing in alternative therapies, she uses her education and every aspect of her background in her novels. The third book, Scorpio was just contracted by her publisher and she is writing Libra now. Ronnie will be at the Meet the Authors Book Fair on November 19 and 20 from 9:30 to 4:30 in the Eau Gallie Civic Center in Melbourne, Florida. Be sure to stop by to see here and to see her books.